Beauty Courses Online was established by Karen Harrington, a veteran in the beauty industry with over 30 years experience both as a beauty salon owner and a beauty school operator. These courses were developed because of the extraordinary growth that the beauty industry is enjoying and to meet the high demand for competent beauty therapists. There was a definite need for a way of fast tracking the learning process which was not being met by the traditional beauty schools. Beauty Therapy is not something that can be learnt by reading a book or manual. You need to be able to view the procedures over and over again and then practice, practice, practice until you become competent. You also need to be able to ask questions, the same question over and over again if need be, until you understand what is being taught. Asking lots of questions is the only way you can learn anything, but it seems that there is very little time these days. Correspondence courses already available had little or no video content, making it almost impossible to learn procedures correctly. We spent many years filming and editing these courses to guarantee our students the most comprehensive video content available today. If something went wrong while I was performing a procedure, I deliberately left it in the film to both demonstrate what can go wrong and how to fix it. I did not want to offer simple, short demo videos which now seem to be flooding the market. Every individual procedure has been performed in my salon but as if in a classroom environment, slowly and with every step described in great detail as it is being performed. These courses will give you a solid foundation on which to build a strong beauty business. As mentioned I have had over 30 years in the beauty industry both as a Salon Owner/Operator and Teacher at my own beauty school, however I still find it necessary to constantly update my skills to keep up with current trends. From time to time I will release updates to procedures if the need arises and I am going to extend the subject list with additions to the current list and new subjects. Beauty courses online, is a beauty school and specializes in beauty training videos only. We do not sell or promote other products, the emphasis is on the practical training. The courses have been designed so that students can choose and work with any products on the market. As part of the course we explain how to source the products required at the best prices. 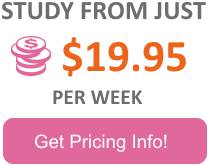 We also offer exclusive “student only” online help. You will only deal with me personally, and unless I am asleep, or in the salon, your questions will usually be answered immediately, 7 days a week. I also extend this service to students who have completed the courses and who need further support. We take our business very seriously and pride ourselves on attention to detail and more importantly attention to our students. 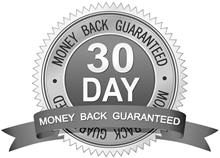 We are so sure you will love our courses that we offer a full 30 day money back guarantee if for any reason you find they are not what you are looking for.